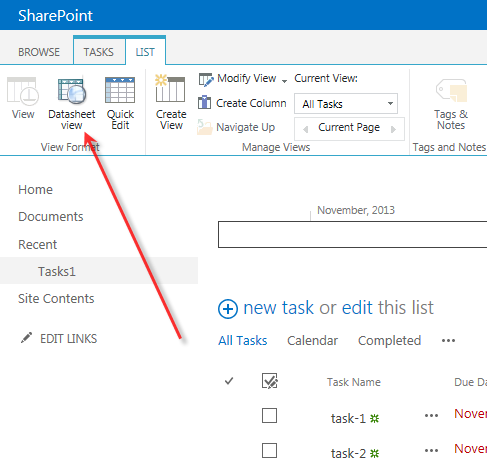 The quick edit view in SharePoint 2013 has caused us all a lot of issues. The new Quick Edit mode does not support all the “Excel-like” features that many of the end users got used to in SharePoint 2010. If you have farm access to deploy solutions there is a FREE alternative datasheet view solution available from KWizCom.